A box of Jaffa Cakes has shrunk in size from 12 to 10 biscuits, sparking outrage from fans of the favourite treat. Some retailers appear to be still selling the McVitie's brand for the same amount as the old packs, despite the manufacturer dropping the recommended retail price (RRP) to reflect the smaller size. 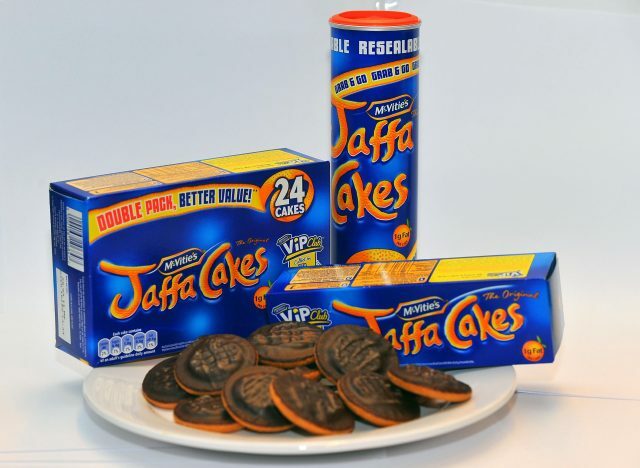 A McVitie's spokeswoman said: "As a company, we have taken the decision to adjust the pack size of our McVitie's Jaffa Cakes products and where we've reduced cake count, the RRP has also been reduced proportionately. This applies to all the core grocery channels. "Our single packs (changing from 12 to 10 cakes) have reduced from an RRP of £1.15 to an RRP of 99p, and our twin packs (changing from 24 to 20 cakes) have reduced from an RRP of £2.19 to an RRP of £1.89. "These changes represent the same price per cake, however pricing ultimately remains at the sole discretion of retailers. "There is no change in the size, shape or weight of individual cakes in the McVitie's Jaffa Cake range."